Navigation the bathroom when you have a mobility challenge may be the most difficult, everyday living tasks one can experience. The mere thought is exhausting and trying lift your leg over the bath tub or shower saddle, or steadying your gait when you’re on a wet slippery surface can be positively scary. Grab bars: Selections include suction cup or permanent grab bars, and each have their purpose. 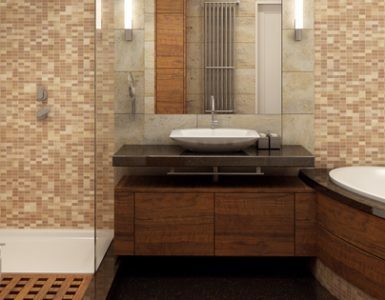 An installed grab bar is permanently affixed to the bathroom wall, while a suction grab bar is something that can be removed and placed in different locations. 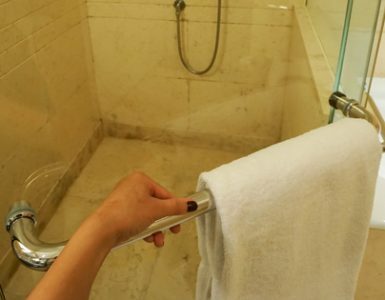 A suction grab bar is great to travel with as well. Tub rails: The perfect accessory for any tub, tub rails securely mount over the tub side and have an extended handle for added support while entering and exiting the tub. Toilet riser or frame: A toilet riser sits on the toilet seat and reduces the amount of distance from the toilet seat to a standing position, which is perfect for post-surgery recovery. The toilet frames are secured under the toilet seat and provide stability from the sit to stand position. Both are great for supporting those with mobility challenges. 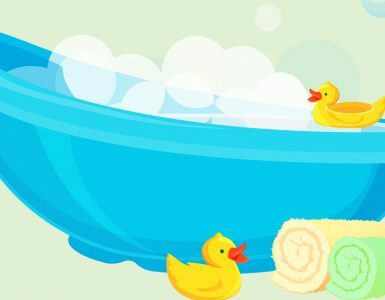 Bath seats: With a broad selection of benches, stools and seats with arms, it shouldn’t be difficult to find a bath seat that can work with your tub or shower stall. Bath seats provide the perfect balance of support and privacy, all while remaining independent. And who doesn’t want that! Bath lift: If you miss relaxing in the tub, a bath lift is a great way to still enjoy it without worrying about falling as you exit the tub. The lift is a comfortable chair that is placed in the tub and raises and lowers by a remote control. The waterproof list allows the user to safely take a relaxing bath. With the right strategies, education and products, the fears of bathing with a mobility challenge can be eliminated!